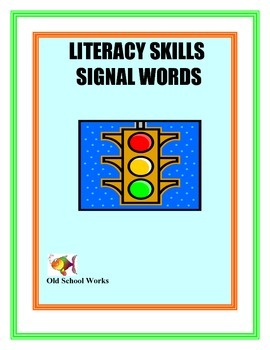 Product is FREE andt contains a listing of signal words by literacy or writing skill. Choose the words from the list that match your student's functioning level and the skill you are teaching. 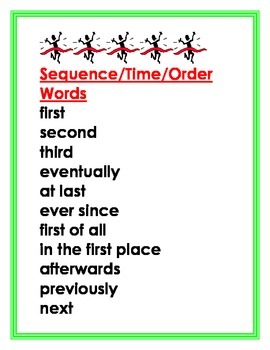 ●Post in your literacy centers or stations for specific skill instruction. 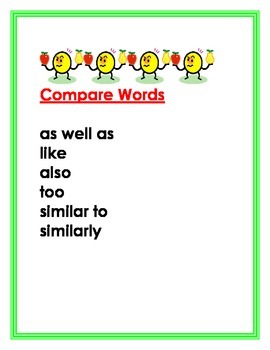 ●Distribute to students for writing or literacy notebook reference. 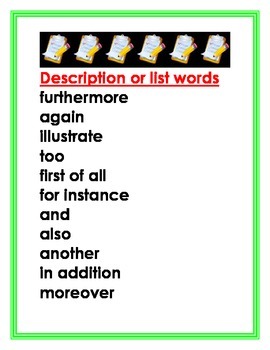 ●Require students to use a specific word or a number of specific words in a writing assignment. ●Have students choose a word(s) from a skills list and complete a writing assignment using the word(s) they have chosen. ●When reading identify signal words for a specific skill and then discuss it's use within the text. Old School Works for you!